Lack of built-in transit support is perhaps one of the most oft-cited failures of Apple's mapping efforts. Currently, in iOS 7, Apple's Maps application will recommend and link to third-party software, including competitors like Google Maps, when users seek public transportation data. The company has made a number of moves toward filling that gap —notably acquiring transit apps HopStop and Embark last year, signaling that the company plans to add its own built-in transit support in the future. But since the launch of Apple Maps in iOS 6 in 2012, transit data has continued to be a glaring omission. 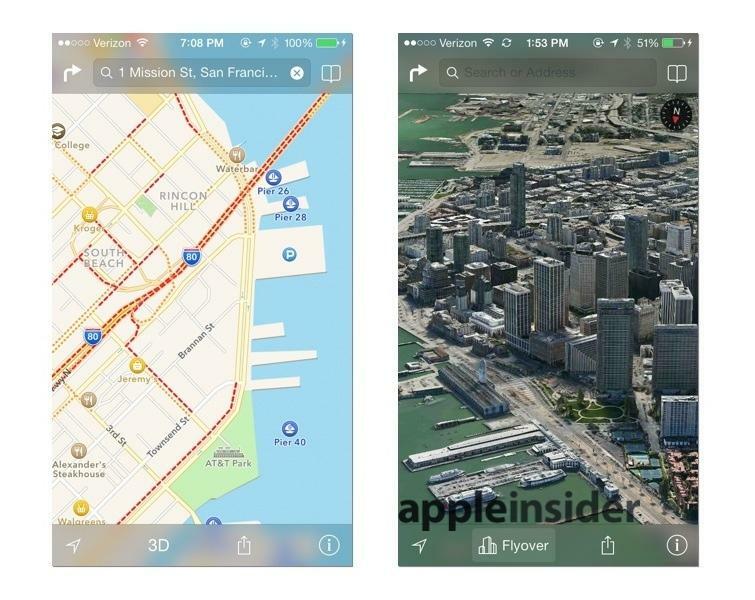 However, it's now expected that data from Apple acquisitions Embark and HopStop will be combined in a newly revamped version of Maps for iOS 8, according to a new report on Tuesday from 9to5Mac. Apple's transit directions system will reportedly support train, bus, and subway data in major North American cities at launch. It's claimed that users will be able to get transit directions through Maps immediately, or use the system to plan travel at a later time, such as determining the fastest route to a meeting during rush hour. Aside from its outside mapping purchases, which also include GIS firm BroadMap, Apple has been seen hiring internally for the new transit features. Job listings for a "Maps Public Transit Engineering Manager" and a "Maps C++ Software Engineer - Public Transit" appeared on the company's career portal last fall. Supporting the new transit functionality will be a beefed-up data backend that will also serve to make manual way-finding and point-of-interest information more reliable based on new partnerships and data brought in-house as part of its other acquisitions. 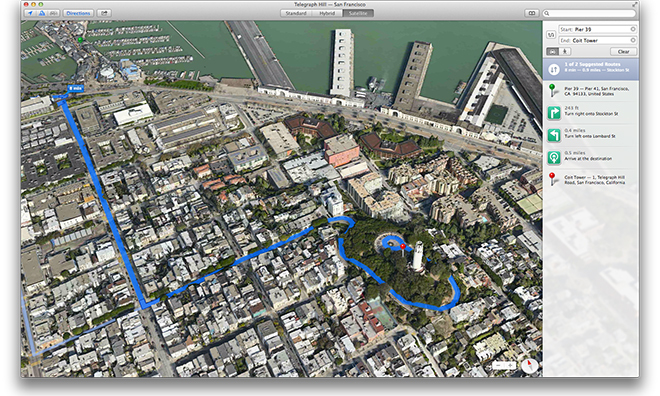 Apple will also introduce an updated labeling system and tweaked "cartography design" to make maps more readable. Apple's mapping system launched to much fanfare but was widely panned by users as being less reliable than Google's offering, leading Apple CEO Tim Cook to issue a public apology. The botched rollout cost former iOS chief Scott Forstall his job and responsibility for the system's improvement was given to Apple's internal "fixer," software and services boss Eddy Cue, under whose direction the service has made significant strides.